A freelance project for a new local small business. Ground-up brand development and website build for a specialty cake business. Cake Life Every Day is a custom cake baking and decorating business creating delicious cakes that are thoughtful and unique, with a sense of fun, lots of color and the highest quality ingredients. I worked with Kait, the owner, on focusing and defining the brand and its audience, as well as developing the visual direction and application of the brand identity and designing a website for her customers. 2. Create a brand that speaks to the client and reflects Kait's personality and values. 3. Build a website that excites and educates Cake Life's clients and gives them all of the information they need to order custom cakes. 4. Create a library of assets to be used in marketing outreach. Because Kait's personality is so friendly and fun, we wanted the Cake Life brand experience to be warm and welcoming, filled with bright colors and special moments to give her customers a sense of the feeling they'd have if they stepped into her sun-drenched kitchen as she was pulling a warm cake out of the oven or cutting them a thick slice to enjoy with a cup of fresh coffee. 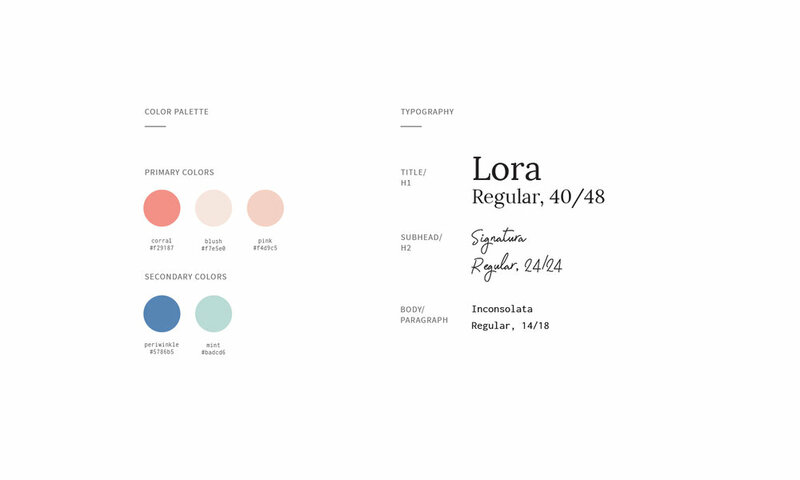 We developed a mission statement, brand words, a color scheme and a style guide to inform the development of the website and any collateral. 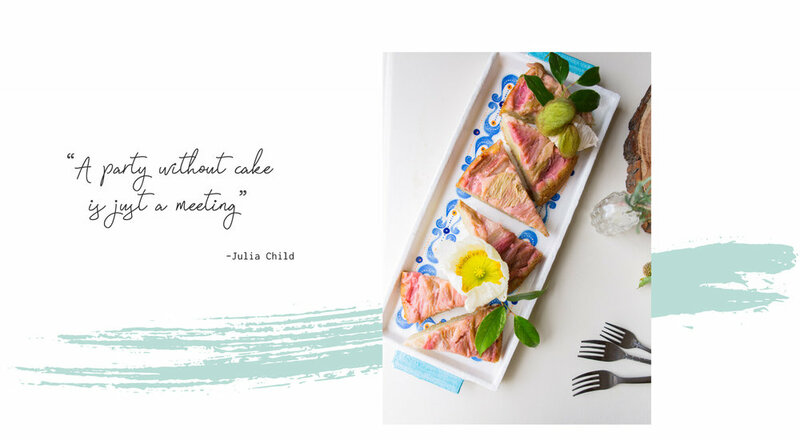 The Cake Life brand is friendly, welcoming, fresh and all about celebration. 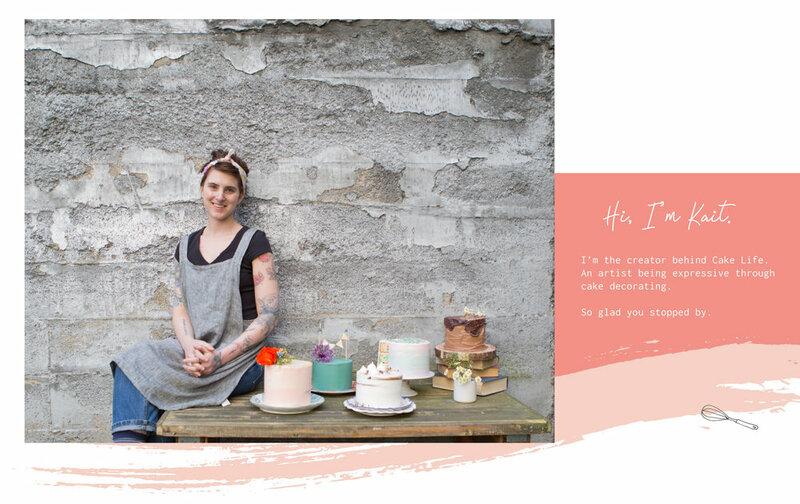 The colors are bright and sophisticated, a reflection of the high quality product she makes, while the hand drawn illustrations are an authentic nod to the love that goes into each made-by-hand cake. The typography for the brand was inspired by Kait's quickly jotted notes-to-self while she's baking, and the recipes she prints from her vintage typewriter. 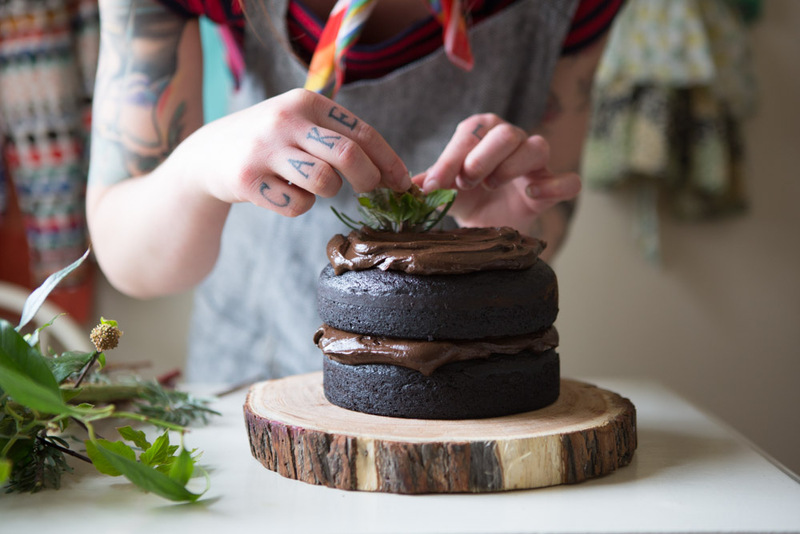 The Cake Life website showcases Kait's portfolio of cakes and lets potential customers step right into the kitchen to meet Kait. All of Kait's customizable offerings, prices and flavors are displayed so that customers can figure out exactly what they want and order the cake that's perfect for them.